We’ve all been teased recently with rumours regarding Heathrow’s 3rd runway, or was it a brand new airport altogether somewhere way out to the East? Either way, after all the build-up, hype and anticipation it turns out that nothing’s going to happen anyway for at least 20 years and by then, I’m sure they’ll be charging excess nut fees for every bolt on my Zimmer-frame! This modern, sophisticated “City” with its own population (workforce) of nearly 60,000, looking after 51 million travellers a year certainly offers an interesting option for part of your journey. With flights departing every few seconds to 100’s of worldwide destinations from one of its 5 main runways, it simply has to be considered as a viable alternative in getting where you want to go. 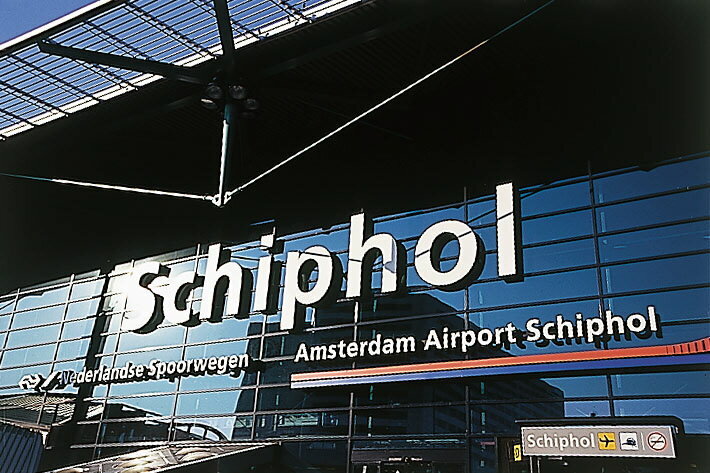 Using Schiphol as an on-route hub from the UK is highly efficient too arriving in around an hour from 17 regional airports. This, coupled with the economies of scale through the hundreds of accessible destinations from here, means the aggregated costs in money, stress, preparation and time is likely to be less. Changing your travel planning habits also helps get your mind around this alternative approach. 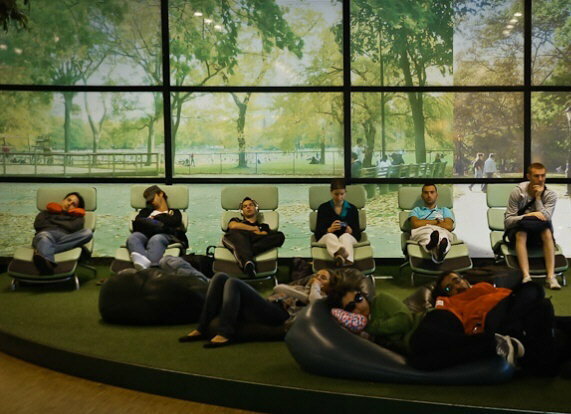 For example, why not make your time at the airport part of your journey rather than a consequence of it? 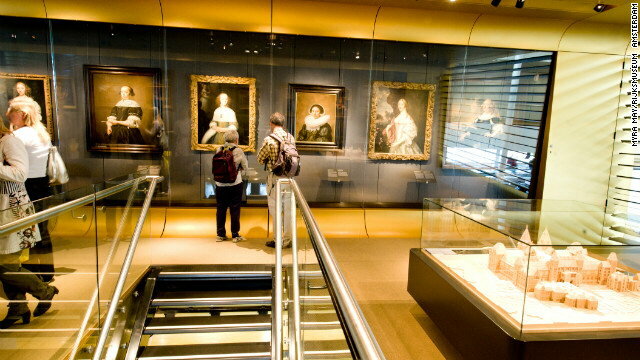 I’d never really thought of that and to my surprise, on my whistle-stop tour, I wandered into a full-size, free admission Rijksmuseum with its permanent exhibition of ten incredible works by Dutch masters of the Golden Age. Then it was into a well-stocked library (although I am unsure how one returns the books). There seemed to be unlimited entertainment for children (that I happened to secretly enjoy to) and a cute baby creche that looked like a fairy-tale scene with proud, smiling parents singing lullabies to sleeping babies. You could even while away a few minutes tinkering the ivories on a public grand piano before exploring room after room of seating, lounging and relaxing areas – some with adjustable loungers and all the gadgets and comforts of a homely cozy living room. How about a massage? From giant slot-operated leather vibrating armchairs to bubbling tanks of fishes nibbling on well-worn feet, you’ll discover them all here and, surprisingly, at prices you’d find difficult to beat in remotest Asia. 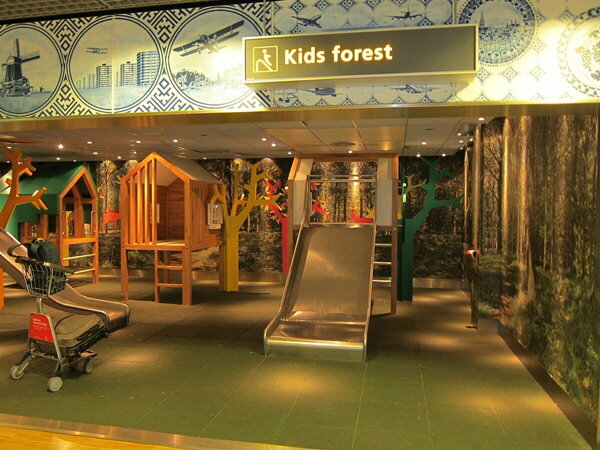 Taking in some fresh air is fun too, popping outside onto the football pitch sized airport viewing gallery. 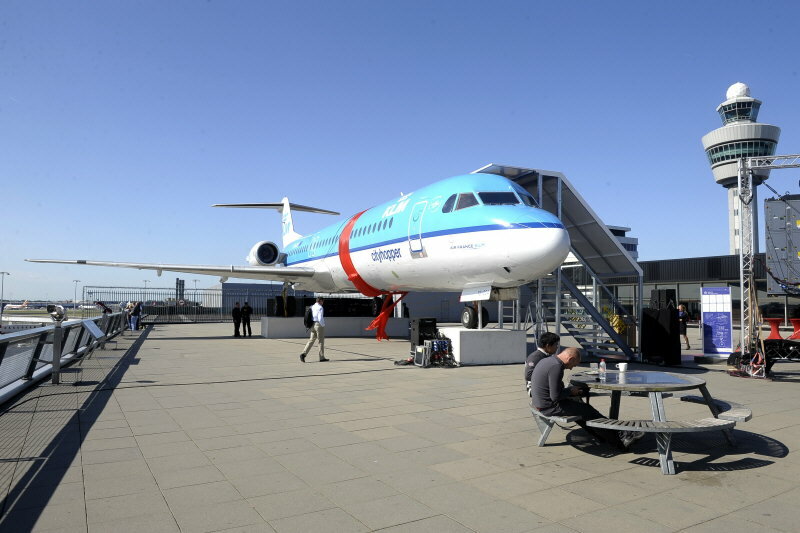 Apart from watching planes arrive and depart from every direction you can jump aboard a full-size Fokker and awe at how it used to be done in days gone by. 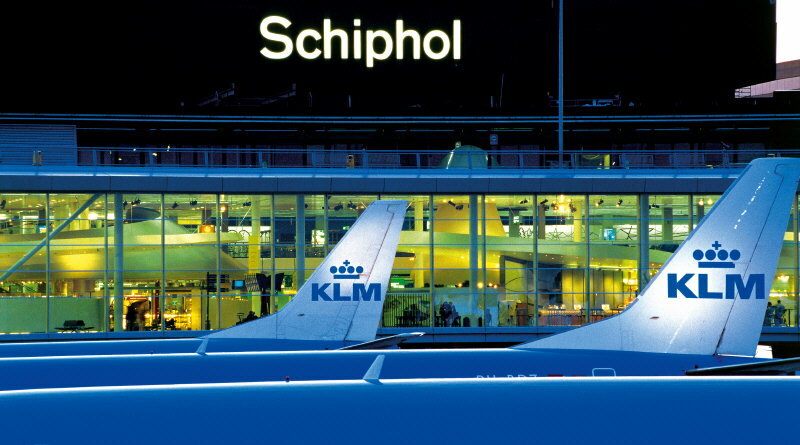 There is no doubt that Schiphol provides an excellent alternative to getting there putting a unique and innovative spin on mundane, routine travel. Give it a go and leave plenty of time to explore this monstrous civilization that will leave you wondering why air travel was ever a hassle in the past. To hub or not to hub? No brainer really! 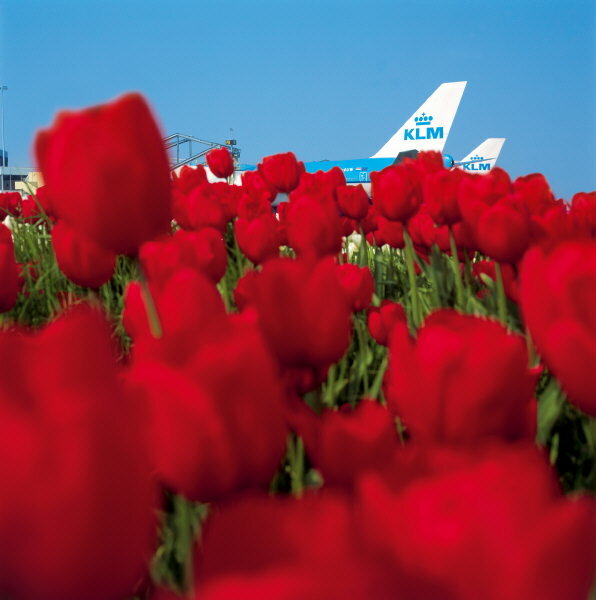 KLM provide regular flights from 17 UK regional airports taking around an hour. 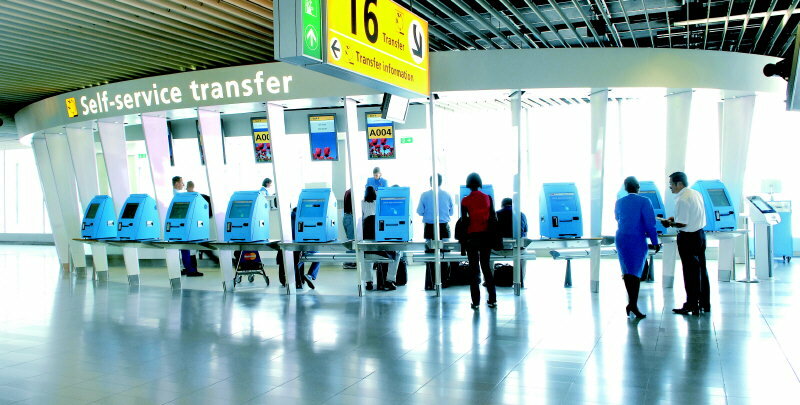 Other airlines are available too – please check. 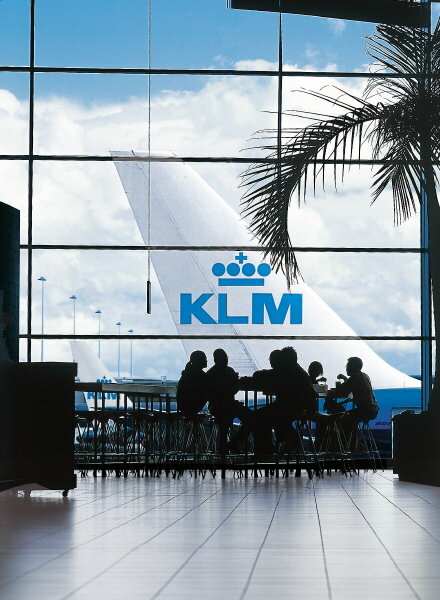 The KLM Crown Lounges are a perfect place to rest and relax. Don’t miss the Vegetal Living Wall, created by acclaimed botanist Patrick Blanc, made up of 60 specially selected plants that grow on a vertical surface providing an ever-changing leafy backdrop to the lounge. 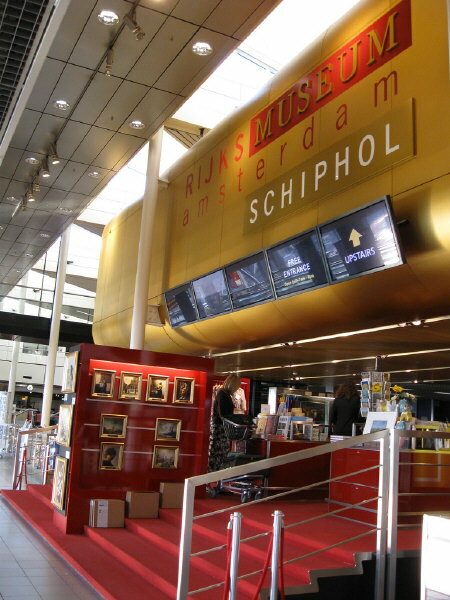 Think about any endless shopping mall you’ve visited in the World and you won’t go far wrong in comparing it to Schiphol. From H&M to Victoria’s Secret there’s nothing you won’t find here. A real Aladdin’s den to satisfy the hunger of the most compulsive shopper to the thirst of the more disconcerting one.